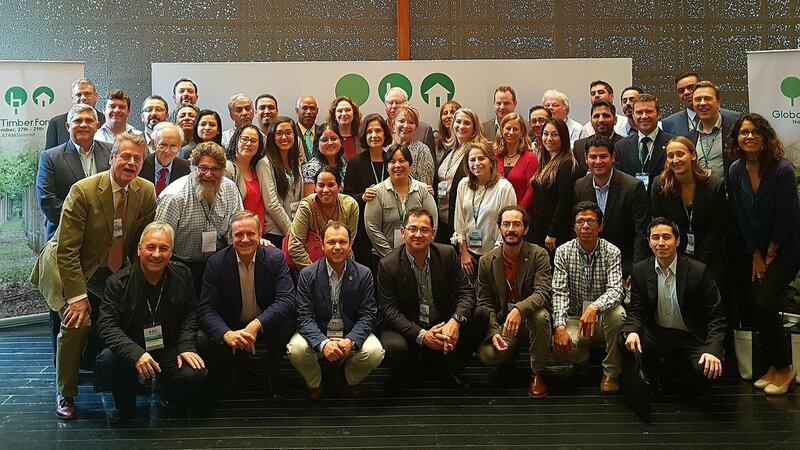 Tradelink Compliance Officer, Robbie Weich, attended the Global Timber Forum’s Latin America Summit, in Lima Peru last week. Robbie also was representing AIMEX, the Association for Exporters in the state of Pará, Brazil. The Summit marks the first time that representatives of national and regional associations representing the wood product industries across Latin America are convening to examine the shared challenges and opportunities of responsible trade. The Summit is organised by Global Timber Forum (GTF) with support from the Food and Agriculture Organization of the United Nations (FAO), through the FAO and European Union (EU) Forest Law Enforcement, Governance and Trade (FLEGT) Program. It happened over two days with sixty delegates representing many of the small and medium sized businesses across the wood products industry of Latin America. Important areas for discussion during the Summit included competitiveness and access to markets; impact of new and emerging regulation; regional trade flow data; incentives for forest conservation; efficient traceability systems and independent forest monitoring. The conference participants also reviewed examples of governments, communities and business working together towards responsible trade in the region. These included Voluntary Partnership Agreements (VPA) with the European Union (EU) by Honduras and Guyana; the Inter-Sectorial Pact for Wood in Colombia; the community technical units in Peru designated as veedores or custodians of the forest with technical functions; the traceability systems in Guatemala and Honduras; and the alliance to stop illegal logging between Belize and Guatemala. More info on the Summit can be found here.